To Virginia Erwin Sirera, her clients are more than just clients. 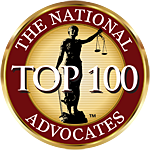 They are individuals and families in need of help through some of the most difficult situations they will face in life — issues of family law and divorce. At the Law Office of Virginia Erwin Sirera, LLC, attorney Sirera has developed a reputation with the courts and other attorneys as a trusted, honest and compassionate St. Tammany Parish family law lawyer. Serving in the Greater New Orleans area for more than 20 years, she is qualified as a court-appointed mediator counseling families on how to resolve their issues in the best interests of all parties involved. Virginia graduated from Loyola Law School in May 1992. That October, she was admitted to the Bar in Louisiana, and has since brought her "tough, yet compassionate" work ethic to every case she handles. She is licensed to practice in all Louisiana state courts, has been admitted to practice in the Eastern and Middle Districts of the United States District Court, is a member of the Louisiana State Bar Association, the American Bar Association and the Covington Bar Association, and since 2006, has been a qualified court-appointed civil law and family law mediator. To find out more about Virginia Erwin Sirera, click on the link below. Virginia currently lives in Mandeville, Louisiana, with her husband and three children. She also welcomes individuals to contact her by email or by telephone at 985-276-9943 to schedule a consultation. Get a trusted lawyer on your side today. The Law Office of Virginia Erwin Sirera, LLC, in Mandeville, Louisiana, represents individuals throughout the Louisiana North Shore in issues of family law and divorce. This includes those in St. Tammany Parish, Tangipahoa Parish, Jefferson Parish and Orleans Parish, as well as the cities of Covington, Slidell, Madisonville, Abita Springs, Pearl River, Lacombe, Hammond, Amite City, Kentwood, Ponchatoula, Eden Isle, Goodbee, Independence, Natalbany, Roseland, Metairie, New Orleans and Kenner.